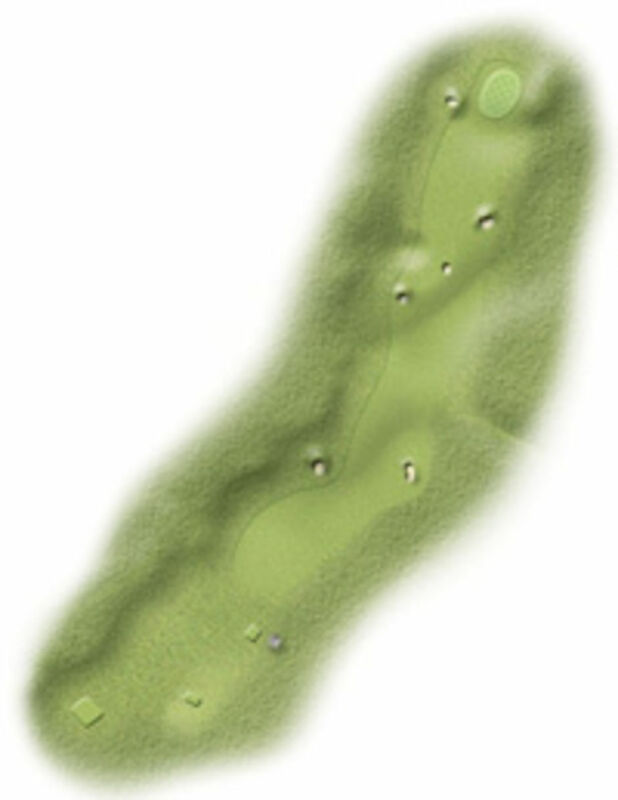 The 469 yard par 4 16th hole is the start of a wonderful finish and the ruin of many a round. Look towards the water tower and you will see the green. You have to be beyond the right hand driving bunker to have a chance of getting up in two. The shorter hitter needs to get their second up to the left giving a clear view of the green for the third. A par here is always a thrill. Arguably the toughest hole on the course!